Hi treat keepers! 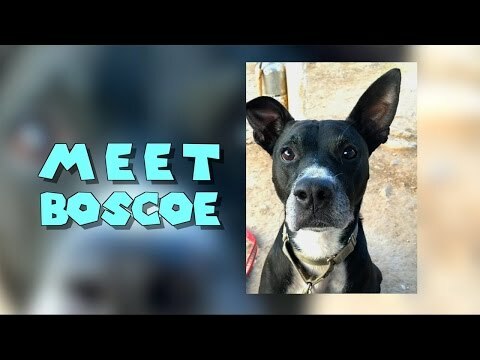 I’m Boscoe! The humans tell me I’m a senior but I think I’m still a puppy. I'm enthusiastic and can still run and goof off with the best of them. When it comes to toys, the squeakier the better. I'll dazzle you with the way I can toss my toys up in the air and catch them. Did I mention that I can sit, lay down and shake with both paws?! I'm always ready to learn a new skill because I aim to please—especially if you are holding a scrumptious treat in your hand. I like fenced-in yards and I love to run around and be silly! I'm a sweet pup with a huge soft spot for people and would do just about anything for them. If you adopt me, I promise to be playful, entertaining and a total cuddlebug. I can’t wait to find someone to share my retirement with! Bark Notes: I do best living as an only child without other dogs, cats or children—I love to be the only one who gets spoiled.